Lately, I’ve been having a recurring nightmare. Each night, I wake up in a cold sweat. The dream goes something like this: an alien from another planet has come down to find out what we humans have accomplished in the past century. “You see, I first visited your planet in what you would call the year 1900. And I wasn’t very impressed,” he says. “Society in 1900 was powered by coal and steam locomotives. Electricity was just starting to arrive in homes. There were no radios, televisions, or computers. There were no plastics or synthetic polymers such as nylon. Automobiles were crude and could barely compete with the horse. Airplanes had yet to carry anyone off the ground! 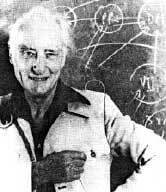 “To you humans in 1900, an atom wasn’t known to have a distinct nucleus with orbiting electrons. 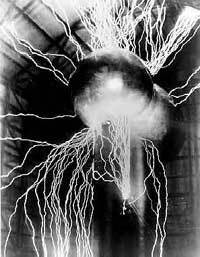 There was this idea going around that atoms contain energy, but no one was sure just how much energy. You certainly didn’t know how to tap atomic energy for power or weapons. “No one realized in 1900 that you live in one of billions of galaxies the universe. There was no obvious beginning or end to time and space. “No human had left Earth’s atmosphere. School children were denied the dream that a human might one day set foot on your nearest celestial neighbor — the moon. 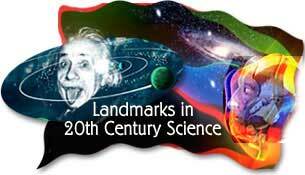 How on Earth could I even begin to catalog all of the scientific achievements of the 20th century? It would be impossible to make a thorough list in even one narrow field of science. Even if I could compose such a list, it probably wouldn’t match anyone else’s ideas on what was truly the important science. But with an alien death ray pointed at me, the first thing that comes to mind is the laser. Few other inventions have so affected the way we live today. Lasers can be found in compact disc players, atomic clocks, and desktop printers and scanners. They’re used to burn microchips, communicate over fiber optic cables, and navigate ships. Lasers have even helped us map the moon and planets. When Apollo astronauts visited the moon, they left behind reflectors. By bouncing laser beams off the reflectors, scientists have been able to measure the distance from Earth to the moon with very high precision. The laser takes advantage of a 20th century way of looking at the world on the scale of atoms — known as quantum theory. According to quantum theory, things on the scale of atoms and subatomic particles act very differently than they do on the scale of people and cars and planets. Matter is no longer solid in the way that it is in our upscale world. Instead, matter acts more like waves. There are even strange situations in which a bit of matter can be in two places at once. The other device that best applies this revolutionary understanding of the quantum world is the transistor. Margaret Sanger — the “mother of The Pill” — challenged researchers to take advantage of new insights into hormones and reproduction to make a safe, effective, oral birth control pill. The sixth of eleven children, Margaret Sanger first coined the term “birth control.” In Brooklyn in 1916, she opened the first birth control center in the U.S. She organized the first World Population Conference in Geneva, Switzerland in 1927. She also helped found the Planned Parenthood Federation of America in 1942. The oral contraceptive has the distinction of being the first drug approved by the U.S. Food and Drug Administration with an express purpose other than to cure disease. Today, in the year 2000, by some estimates, 100 million women use or have used birth control pills worldwide. And according to some experts, current world population might be higher by one billion or more people without The Pill. The Pill relied on an understanding of molecules called hormones. The second triumph for biochemistry was a new understanding of a different type of molecule — DNA. James Watson and Francis Crick unraveled the mystery behind DNA before their rival Linus Pauling, the most respected molecular biologist of that era. Crick and Watson saw the data of another researcher. They knew that if Pauling saw the same data, he would beat them to the answer. They worked feverishly for weeks until they discovered the basic structure of DNA and the clever mechanism by which it copies itself. Without their insights, we would not have cloned sheep and we wouldn’t be on the verge of transcribing the entire genetic code of a human. While we’re looking at biology and chemistry, it is only fair to mention the development of the polio vaccine, which has helped to eradicate this disease. And penicillin, the first antibiotic agent plucked from one microorganism to aid humans in the war against harmful bacteria. The combined effect of these two medical agents surely saved millions of lives in the 20th Century. The second half of the 20th Century has been variously called the Information Age, the Computer Age, and the Nuclear Age. But this era could just as easily be called the Space Age. Consider the first steps we 20th-centurions have made into space. 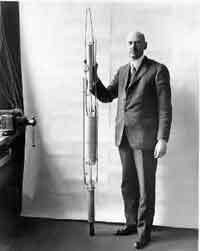 Robert Goddard with the “May 4, 1926” rocket. In February of 1930, the solar system doubled in size when Clyde Tombaugh, a 23 year old amateur astronomer discovered the ninth planet — Pluto. It had been almost a century since the last planet — Neptune — was discovered. There were at least three planets left to “discover” in our solar system when the first telescopes were pointed into the night sky. The visible planets had been known as long as people cared to watch the sky’s changing face. It’s unlikely that any more planets are hiding out within our sun’s gravitational influence. And yet planet hunters are now living in a new golden age of discovery. They’re now looking farther out into the universe — at the regions around other stars. In just five years, scientists have discovered five times as many planets as have been known for all of the rest of human history. Two engineers working for Bell Labs were using a satellite-tracking antenna to experiment with microwave communications when they noticed background noise with no obvious source. No matter which direction they pointed the antenna, the noise was there. Princeton astronomers confirmed that this noise was actually microwave radiation that fills space — just as the Big Bang theory predicts. 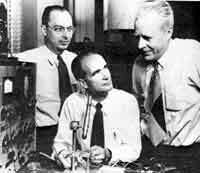 Arno Penzias and Robert Wilson later received the Nobel prize for discovering the cosmic microwave background radiation. 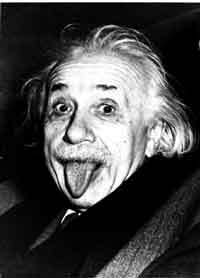 And, saving the best for last, there was the development of relativity theory by Albert Einstein. The theory reshaped our notions of time and space. It gave us a new way to look at gravity. It gave us strange effects like two imaginary brothers who age differently depending on the speed at which they travel away from each other. It yanked the rug of absolute space out from under us. It made possible the atomic bomb. 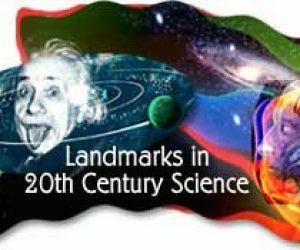 For more examples of 20th Century achievements, see our list of 26 science landmarks at the end of this article.